Visualize meaningful interactive reports and dashboards while collaborating and sharing with your organization on any device at any time. Get flexible and faster answers to manage your business. How much revenue do I make per customer and by product, product category, month and sales region? How much contribution do I make per customer and by product, product category, month and sales region? Do you still have these questions? 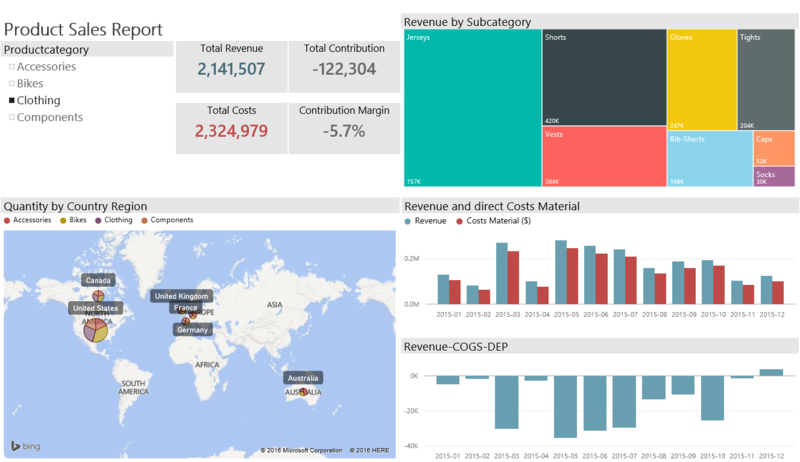 With Power BI it is quite simple to merge different data sources, to perform powerful calculations for all kinds of cost accountings. Visualize meaningful interactive reports and dashboards while collaborating and sharing with your organization on any device at any time. Get flexible and faster answers to manage your business. sales records like quantity, price, customer, product, production line, date etc. product properties like product number, product category and subcategory, material cost, product volume etc. 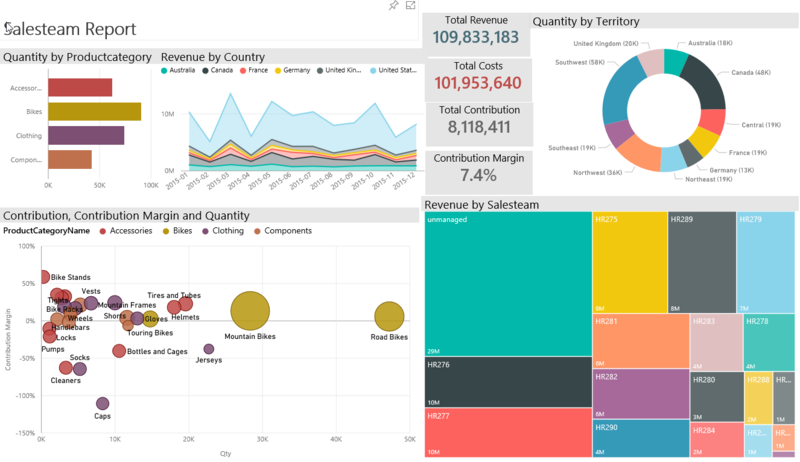 All this data can come from flat files, Excel, online applications or directly from ERP systems and is imported to your Power BI Model. Assume, that your cost for packaging material has to be calculated in terms of volume of products, cost of labor or by quantity of products produced. The cost of depreciation per production line has to be splashed to the products produced on that production line. 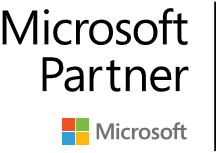 Microsoft’s powerful DAX language gives you the power to calculate differentiated cost rates for each type of cost (costs per unit aka CPU) and it calculates and assigns the partial costs in real time to each item sold. KPIs like “contribution”, “contribution margin” and “revenue./.COGS./.depreciation” are defined. 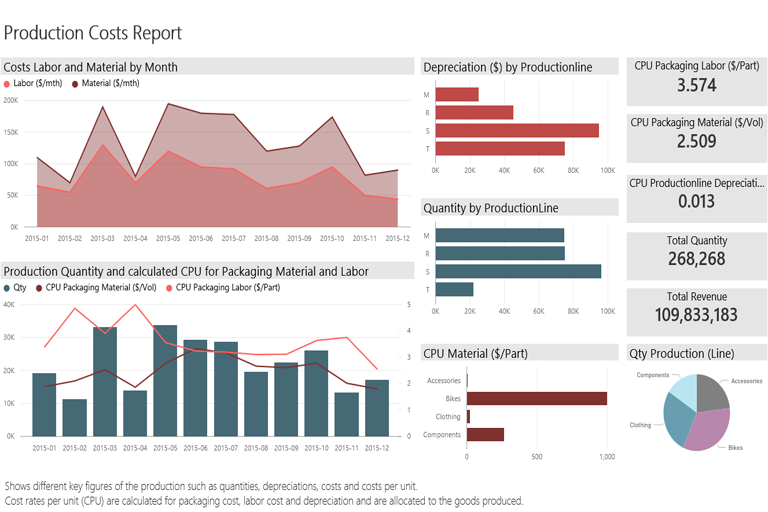 The granularity can vary from highly aggregated by month or product category to the finest level such as order line.On top of this model you can design reports and dashboards and deploy them with one click. Because of the in-memory data model behind these reports and dashboards you get a high performance, flexible and analytical app to filter, aggregate and drill deep into your data. Reports like “Production”, “Product” and “Sales Team” have been deployed and offer three perspectives on this data model. Feel free to dive in!